There are many things employers must always remain conscious of, not the least of which is alertness to whether drug and alcohol abuse may be occurring in the workplace. While pre-employment drug testing can help reduce the likelihood of on-the-job intoxication, it isn’t foolproof, so it’s important that employers know how to recognize signs of abuse. A corporation’s motive for conducting employment background checks is obvious: By investigating applicants’ history, companies can avoid hiring insalubrious, untrustworthy characters. This focus on employee investigation isn’t just paranoia; in a recent whitepaper, ADP reported that 6 percent of the employment background checks they conducted for other companies in 2010 revealed a criminal record. Beyond the enormous impact a bad hire can have on operations and profits, failing to research new hires can be termed negligence in court. 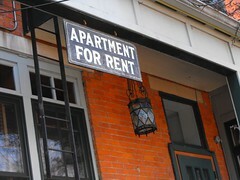 There are many reasons for carrying out tenant background checks. Tenant screening helps landlords avoid renting to unsavory characters whose behavior may drive down property value and rent rates. Conducting background checks can also help property owners and landlords avoid occupants who may cause property damage or threaten other residents. 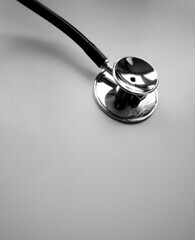 What Services should be Included in a Healthcare Professional Background Check? Because life is literally in the hands of a health care professional, background checks are essential. Healthcare background checks help ensure that untrustworthy individuals are not hired by hospitals, nursing homes and other healthcare facilities. Tragedies can be avoided if administrators conduct thorough healthcare background checks. Do you have a common name? Many people do, and all are at risk of being mistaken for someone with the same or a similar name due to simple clerical errors. When these errors show up in a criminal background check, the results can be disastrous. The Penn State child abuse scandal that has been so prominent in the news recently has highlighted a great need to make sure people who interact with children are responsible and trustworthy. It would be nice to think that high-profile individuals are all good folks with admirable characters, but as has been discovered in the case of Jerry Sandusky, this is not always realistic – and that’s where criminal background checks come in. A quick look around the internet might very well give you the impression that pre-employment screening is a simple, do-it-yourself project. Many criminal records check websites claim to have “national databases” and to turn up “all misdemeanors,” implying that conducting a pre-employment background check is as simple as performing a quick web search. 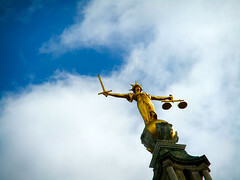 From laws dictating minimum wage to regulations on age discrimination, there are many laws about labor in this country. 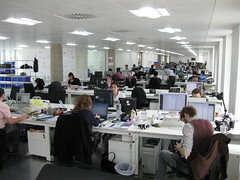 However, managers may not think to Google “laws about running a background check.” Company leaders understand the importance of sexual harassment laws, workplace safety rules, and family leave guidelines, but it’s unusual for managers to be familiar with the Federal Fair Credit Reporting Act (FCRA), just one of several federal laws that mandate specific actions when partnering with a background check service. 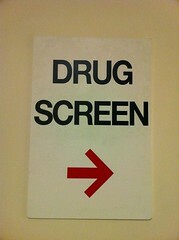 Drug testing can be a useful tool for employers. However, if done improperly, drug screening can stir up a maelstrom of legal fees and public relations setbacks. Despite these risks, employee drug testing is standard in many companies because it helps prevent the wide range of problems – diminished productivity, increased compensation spending, tardiness and absenteeism – posed by workers who are under the influence of drugs.